Model Name "Emperor" Important Note:When you checkout make sure you are buying from the seller "Knife King" if you want the original top quality item , Buy original item from "Knife King" only. 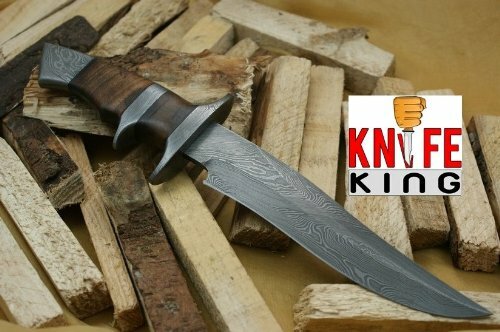 All other sellers are selling fake copies of our knives on this listing. All the good reviews on this knife are earned by knives made in our workshop and some people are trying to take advantage of these good reviews and listing their low quality copies on our listings. Blade: 8 inch handle 5.25 inch. Walnut wood handle. Damascus guard and finger notch. You must be over the age of 18 to buy this item. Comes with a sheath. Model Name "Emperor". Comes with a sheath. If you have any questions about this product by Knife King, contact us by completing and submitting the form below. If you are looking for a specif part number, please include it with your message.